FS705 is a graphite based product which when exposed to fire expands protecting penetrations including cables, cable bunches, cable trays, plastic and metallic pipes. 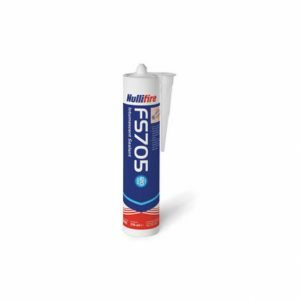 FS705 maintains the integrity and insulation performance of the seal through masonry and plasterboard. FS705 is designed to close off gaps and penetrations in compartment walls and floors, to provide up to 2 hours fire resistance. FS705 is suitable for the following service penetrations up to 125 mm; PVC pipes, ABS pipes, HDPE pipes including Armaflex and glass wool insulation. FS705 can also be used with metallic pipes, cables and cable bunches including telecommunication cables, cable trays and cable ladders. FS711 is a single component, water based sprayable acrylic sealant. FS711 is designed to be used in conjunction with a suitable density mineral fibre board. It is also used for painting around a masked off service opening to provide an aesthetic finish. Clean all surfaces of loose particles, moisture, oils, grease and corrosive materials. Ensure the substrate is compatible with FS711. 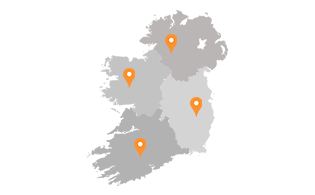 Ensure that any damage to the substrate has been repaired & reprimed, site and weather conditions are within specification. If required, check that correct spray equipment is available, functioning and free from contaminants or dried material. Surface or substrate temperature should be 5°C or above at the time of application. 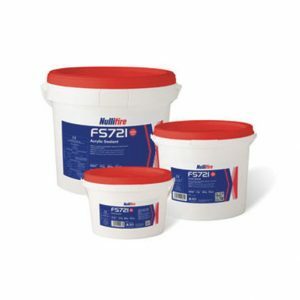 FS721 Trowel Grade Acrylic Sealant is a single part waterborne fire resistant acrylic sealant. 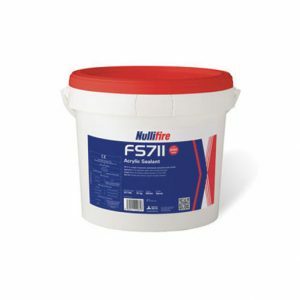 FS721 sealant can provide up to 4 hours fire resistance when used in conjunction with Nullifire FB747 Coated Board System. FS721 is designed to be brush or trowel applied to seal the uncoated edges of FB747, or provide coat back of cables to provide insulation in accordance with EN 1366-3. Using a trowel or pallet knife, coat any cut edges of the Nullifire FB747 batt system before installation. Apply a thick layer of FS721 to all areas of contact around the opening of services. Finish joints post installation with a further application of FS721 to all joint lines and any small gaps.